Throughout the early 2000s, Dance Dance Revolution’s competitive scene was on fire. On any given weekend, you could find an arcade in the United States hosting a tournament. The main event of these tournaments that drew the most interest was the Freestyle competition. Freestyle was the “Dance” in Dance Dance Revolution where competitors would perform choreographed dance routines in front of enormous crowds. Freestyle allowed the unique opportunity for players to inject their own creativity and showmanship. A Dance Dance Revolution fan since 1999 and 10-time DDR Freestyle tournament champion. 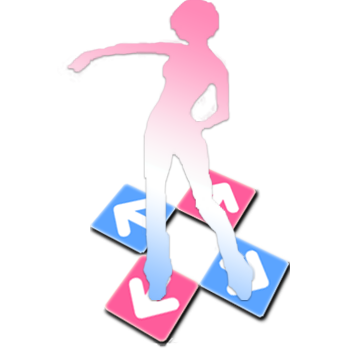 Worked as a QA tester and step data contributor for Konami (Dance Dance Revolution Ultramix and Dance Dance Revolution Ultramix 2). Featured in televised segments for TechTV, VH-1, and KPIX. Currently develops the strategic plan for and oversees the execution of live events, remote competitions, marketing, and community outreach. Bay Area DDR devotee since 2001 and 4-time freestyle tournament winner with a passion for video production and street dance. Here to highlight the talent of dancers worldwide and inspire players to tap into their creative side. Currently develops marketing and branding for Takeover events, produces video, website and podcast content and maintains social media presence across all platforms. Began playing DDR in 2000, felt at home in the community, and returned in 2017 after a long absence to launch Freestyle Takeover and bring DDR freestyle into the social media and streaming age. Currently pitches crazy ideas to the Freestyle Takeover team and is a crucial part of the execution of live events. High-level technical player (ranked 39th @ the 8th KAC) with numerous tournament wins under his belt from DDRFreak days. Passionate about freestyle and street dance and teaches an 8-week locking workshop at The Get Down studio in San Jose, CA. Currently serves as Takeover MC, judge and hype man for our live events and collaborates with the team on creative content. DDR found him in 2001. A penchant for writing, game design, and solo performance. One-time freestyle tournament honorable mention. Currently contributes social media copy in addition to being the first voice you hear on the Freestyle Takeover podcast.